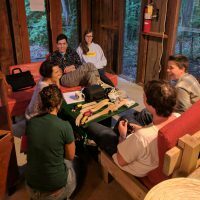 For this Gathering, Quakers ages 13-35 will spend time together at Camp NeeKauNis from the evening of August 2nd to the evening of August 4th, when we will travel the short distance to CYM in Barrie as a group. This Gathering follows the expressed desires of Young Friends at the NeeKauNis gathering in 2017, and with the hopes of bringing even more Young Friends together. We’re looking forward to bringing together many wonderful Young Friends and Young Adult Friends to share in each other’s light. This is a great opportunity for those who have not had the chance to visit Camp NeeKauNis before, and for those who have never been to CYM and are looking to make some connections before hand! We hope to rejuvenate the Canadian Young Friends community and continue to discern our collective path forward, asking what we want to be doing and what makes sense for us. 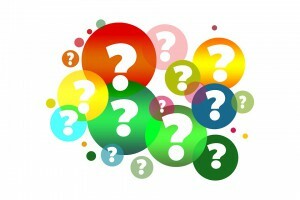 There will be a fluid program with space for us to engage in camp activities such as swimming, drama, games, community art creations, service — as well as activities that lead us to share questions and experiences of our Quaker faith. You are also invited to bring musical instruments so that we can share in music and song. There is once again substantial financial support for those wishing to attend the gathering. For more information please contact yfgathering@gmail.com. Register for Spring Western Half Yearly Meeting 2018! Registration for Spring Western Half Yearly Meeting 2018 at Sorrento Centre is open! The event will be held from Friday, May 18th to Monday, May 21st. You can find more information and register at whym-registration.ca. The deadline to register is May 1st. You can find the schedule and business agenda on the WHYM 2018 page on the business side of our site. (Note that you will need to login into the business section, or create an account, to see that page). Canada Post experienced theft around the time the Canadian Yearly Meeting tax receipts were mailed out. 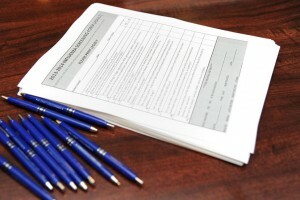 A small number of donors reported that they had not received their receipt. If this applies to you, please contact us at cym-office@quaker.ca or call 1-888-296-3222. Apologies for any inconvenience – your support of CYM is appreciated! — Penni Burrell, Clerk, Contributions Committee, Canadian Yearly Meeting. Quaker Earthcare Witness is working to bring together a coalition of changemakers of African descent who are working on the issue of water, and has launched a crowdfunding campaign to help make this happen. The Coalition will gather in person for a special meeting at U.N. Headquarters in July with other movement leaders to learn together, share resources, and foster collaboration as part of the U.N. 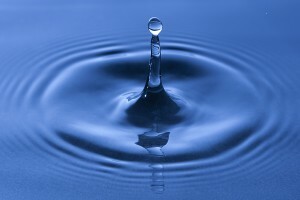 Decade for People of African Descent and the International Decade for Action – Water for Sustainable Development. For more information and to donate, visit the crowdfunding page. Friends Historical Association (FHA) seeks an editor for its journal Quaker History to begin duties by May 2018. The editor receives a stipend of $2,500 for each issue ($5,000 a year). The Friends Historical Association is devoted to the study, preservation and publication of material relating to the history of the Religious Society of Friends (Quakers). Founded in Philadelphia in 1873, FHA has become an organization that is international in membership and interests and which anyone, Friend or not, is invited to join. 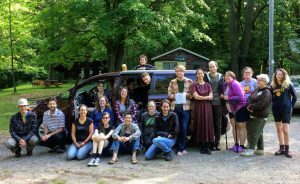 The Annual Meeting in the Fall, and a historical pilgrimage in the Spring to an area associated with the history of Quakerism are important activities of the Association. The Association publishes the American journal Quaker History twice a year. Quaker History is the official journal of the Friends Historical Association. 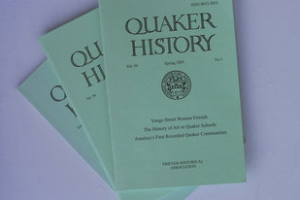 Published semi-annually in the Fall and Spring, Quaker History consists of articles on all aspects of the history of the Religious Society of Friends (Quakers). The journal also contains reviews of current scholarship and an annual annotated bibliography of new publications in the field. In addition to its print run, Quaker History is available online through JSTOR and Project Muse.